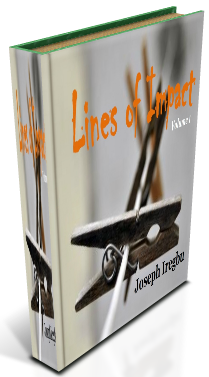 This week, I released a new, small eBook “Lines of Impact Volume 1” and I am excited to share it with you. If you have been following this blog, you would recall I started a Friday Lines of Impact series some months ago. The series has seen some success and thanks to your feedback, I have put together the first volume of the series in eBook format for you to download. Now to the best part: it’s FREE. Yes, FREE!! It’s my little way of reminding you of how awesome you already are. I have started formal discussions with the publisher on my next book project (another post on this soon). It’s bigger and better! I am super excited and cannot wait to tell you more about it. And… when you subscribe to the blog, you will get it FREE when it releases (actually before it goes on sale). How’s that for awesome!! I trust I can count on your continuous support. So hurry and join me on this incredible journey in the pursuit of purpose. How else would you rather live? P.S. I want more people to get this eBook. I need you to help me make that happen. Tweet this page, share it on your Facebook wall, tell someone about it. Thanking you in advance. ←Was Jesus 'Set Up' By God?